It's almost maple sugaring season--a sure sign that spring is right around the corner! Many people associate maple flavor with fall recipes. For me, it will always be a late winter, early spring flavor. For as long as I can remember I have enjoyed maple syrup made by my grandpa. Every year he used to tap maple trees, collect the sap, and then boil it down in a "sugar shack" to make maple syrup. One year we were lucky enough to visit during the time the sap was running so grandpa took us out to see his maple sugaring operation. I remember being amazed at just how much work went in to making one small quart of syrup. And grandpa made a lot of maple syrup! 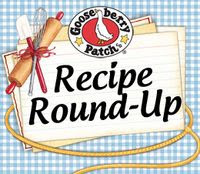 He has since passed away, but I still have some of his maple syrup which I used in this recipe. Cupcakes and frosting that use real maple syrup. 1. Preheat oven to 350°F.2. Combine flour, baking powder, and salt and set aside3. Beat brown sugar, butter, vanilla, and maple flavoring together until well blended.4. Add eggs one at a time, beating well after each is added.5. Combine milk and maple syrup.6. Add flour mixture to sugar mixture alternately with milk mixture and mix after each addition.7. Spoon batter into muffin tins lined with paper liners.8. Bake at 350°F for 17-20 minutes or until a toothpick inserted in center comes out clean.9. Cool in pan for 10 minutes then remove from pan and cool completely on wire rack.10. To make frosting, cream together the cream cheese and butter until well combined.11. Gradually add the confectioners' sugar until thoroughly incorporated.12. Add the maple flavoring and maple syrup and continue to mix until smooth.13. Refrigerate frosting until ready to use. Depending on the syrup you use and the flavor you desire, you may want to eliminate the maple flavoring, or use more of it. This month I was honored with the Stylish Blogger award by two different blogs. Thank you Cakewalker and The Cultural Dish! I am truly honored! If you haven't seen Cakewalker's Gran's Chocolate Cake, you need to see it! And if you are looking for a delicious Italian dessert, check out The Cultural Dish's Chocolate Panna Cotta! One thing I had not expected when I started blogging was all the encouragement and support I have received from fellow bloggers. Thank you! 1. Thank them, make a post, and put a link back to the person/s who gave me this award. 3. Pass the award to 10 recently discovered great bloggers. 4. Contact these bloggers and personally tell them about the award. 1. I have lived in 8 different states. 2. Although I love to bake, I have never enjoyed cooking. and stress out over every detail. 4. I am a night owl. 6. I love roller coasters! 7. For years I didn't drink coffee, now I look forward to a cup every morning. There are so many wonderful blogs that I follow! Many have already received the Stylish Blogger Award, some of them multiple times. So I have tried to pass on the award on to bloggers who (to the best of my knowledge) have not received this award before. Omg this is amazing! Such a great idea making maple cream cheese frosting. It sounds sooo good!! Oooh, so much maple flavor! These cupcakes look fantastic! these cupcakes look gorgeous! Help me with something - what can I use instead of maple flavoring? (I can't find it over here}. These cupcakes looks stunning! Beautiful pictures! @something_good--I would try it without the maple flavoring and use dark maple syrup. When I was looking at different recipes containing maple syrup, many did not contain flavoring at all. In the US and Canada there are different grades of maple syrup. Grade B is darker, thicker, and has a more intense flavor so it is most often used in baking. I wasn't sure what my grandpa's syrup was (although it looks dark and has an pretty intense flavor) so I used the flavoring along with the syrup. But, I really think the flavor of the syrup alone would have been enough. Beautiful cupcakes! I love anything maple, these sound amazing :)! congrats on your well deserved award and fabulous looking cupcakes these should be on the front page of a popular magazine wow! Those looking amazing!!! Thank you for supporting my blog and always giving very nice comments!! Congrats on your award! These cupcakes look awesome! 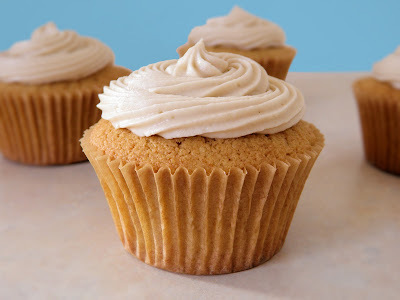 These sound amazing with maple flavor both in the cupcakes and in the frosting! Thanks so much for the award!!!!!! hurrah!! And your cupcakes look delectable! yummmmmmmy! I was very surprised to have the award passed on to me! Thanks SO MUCH. Your blog is definitely a winner and you do such a good job! I am going to try these cupcakes- maple is such a wonderful flavor. I also enjoyed reading the random things about you. Congrats on the blog award...you have one more waiting @my blog! you don't have to pass it on just my own creation! Love maple and love cream cheese frosting. A great introduction of flavors! Your cupcakes look heavenly.. I love maple so thanks so much for sharing.. congrats on the the award as well..
Cupcakes look delicious! I love anything maple! Thanks for stopping by and for all your comments! A double dose of maple! Yum! Congratulations on your award,it is well deserved! Thanks so much for the Stylish Blogger award! I have been looking over your recipes and am in heaven!